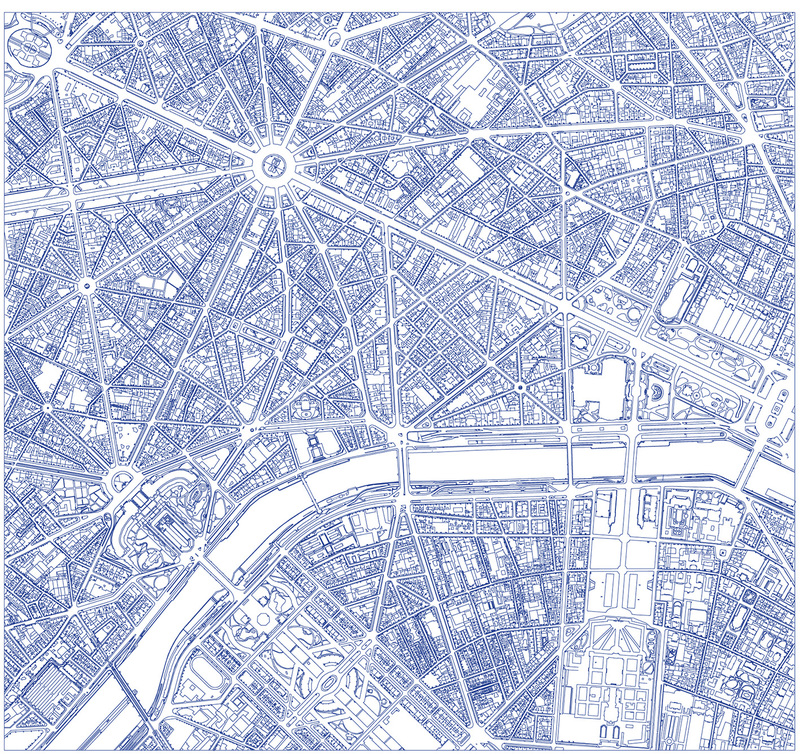 The majority of urban planning of cities is defined by the ideas of norms and rules, similarly that of Paris. The norm is by definition considered stable. This dissertation proposal, however, does not consider the norm as the end of an equation but rather as the beginning of something else: the exceptions. Hence, the reestablishment or rethinking of a norm will become instrumental and useful to generate exceptions. The research problematizes how the shift from a Norm to an Exception occurs as a necessary mechanism of either the planning and the concepts of cities to be affected and challenged. The thesis posits that the moment of this shift is the precise location where Michel Foucault’s concept of heterotopia is formed and can be identified. This research, based on the dogmatic notions of norm and exception, will therefore try to provide a spatial definition to Foucault’s concept of heterotopia. This differs from existing research, as it will not try to define heterotopia as another space, but rather to locate it at the precise moment when the shift from norm to exception occurs. 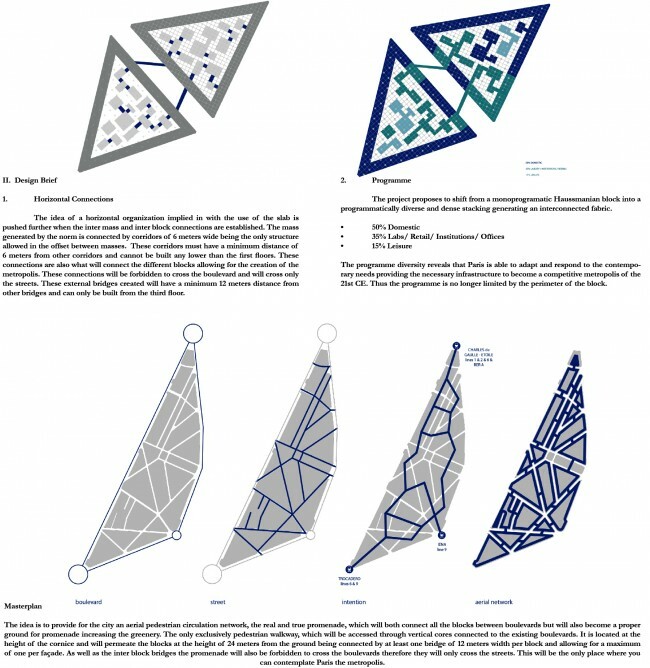 The concept of heterotopia will further be used as the potential emplacement for the city of Paris to generate a design proposal, an environment defined by a new social and economic diagram. 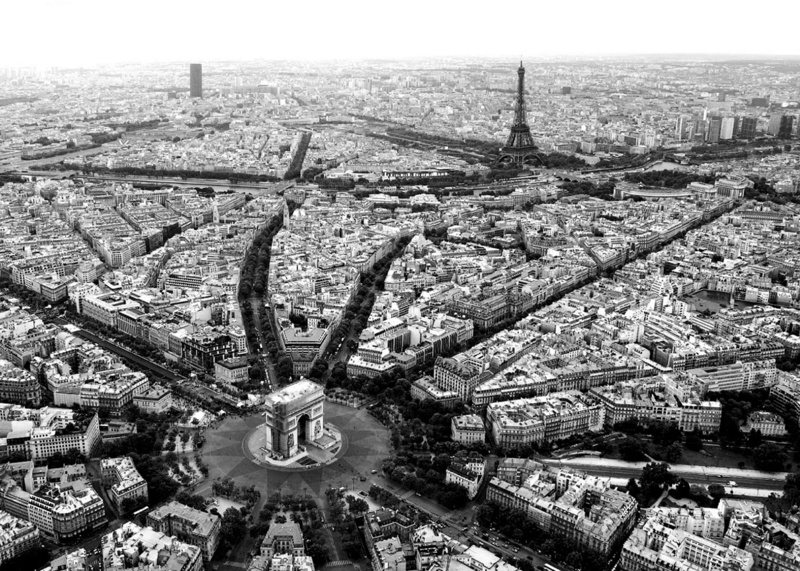 A shift of polarity of the centre of Paris developed from the nineteenth to the twenty-first century as a consequence of the industrialization, when it created a capitalist Paris for investors. 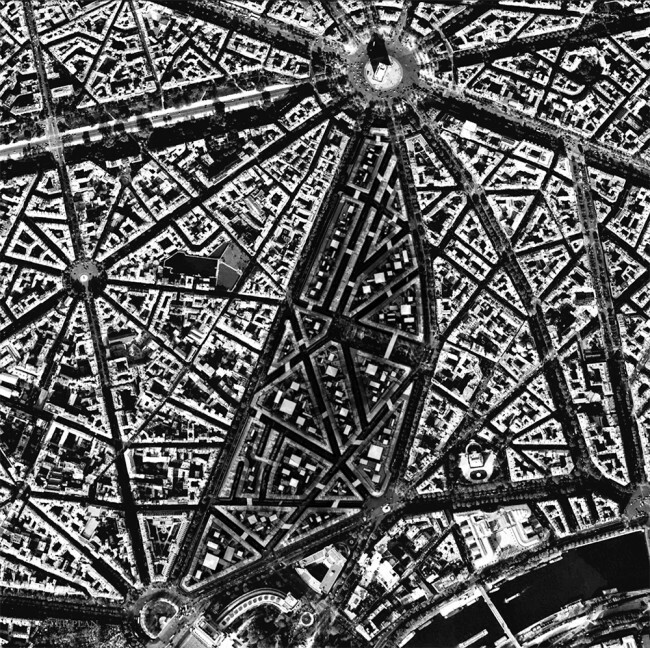 Three centuries later, Paris can no longer compete with other metropolises without its agglomerations, which is revealed by its dependency on the Grand Paris. The result is not an agglomeration that depends on a core city, but on the contrary, a city that depends on the agglomeration. 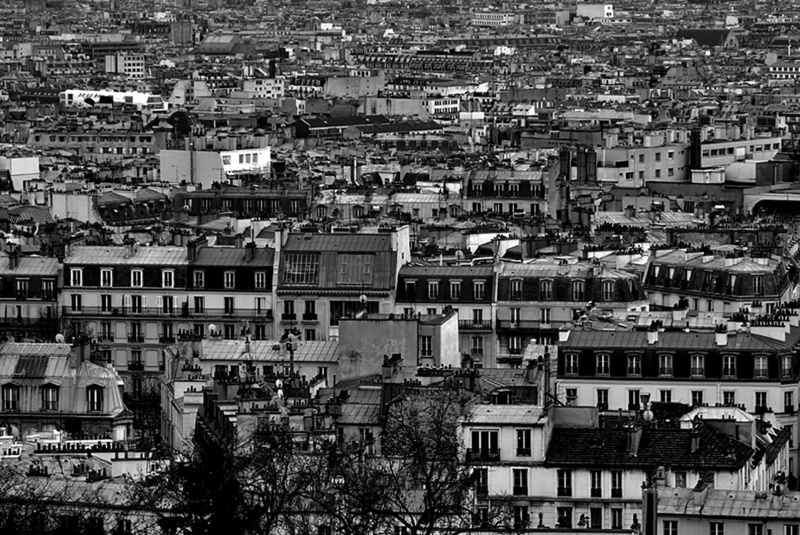 As a consequence, the Grand Paris becomes the city itself and transforms Paris into a gentrified zone, a necropolis. 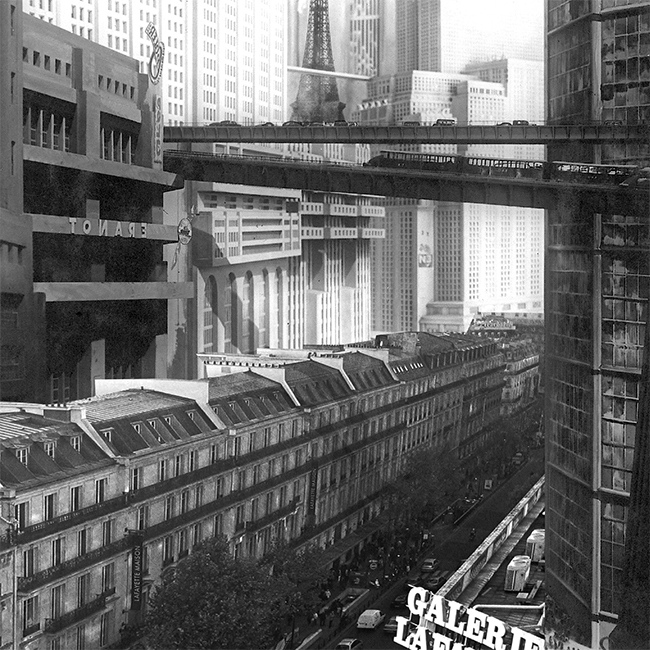 The project therefore reconsiders Paris itself as a potential site for a new metropolis. I saw a street lit as if in full daylight by neon lights and, topping them, oversized luminous advertisements moving, turning, flashing, on and off, spiralling…. something that was completely new and nearly fairy-tale-like for a European in those days…. The buildings seemed to be a vertical veil, shimmering, almost weightless, a luxurious cloth hung front the dark sky to dazzle, distract, and hypnotize. At night the city did not give the impression of being alive, it lived as illusions lived. I knew that I had to make a film about all of these sensations. This was German director Fritz Lang’s first comment when he approached New York’s skyline at night by ship near Ellis Island, and which inspired him to make Metropolis. 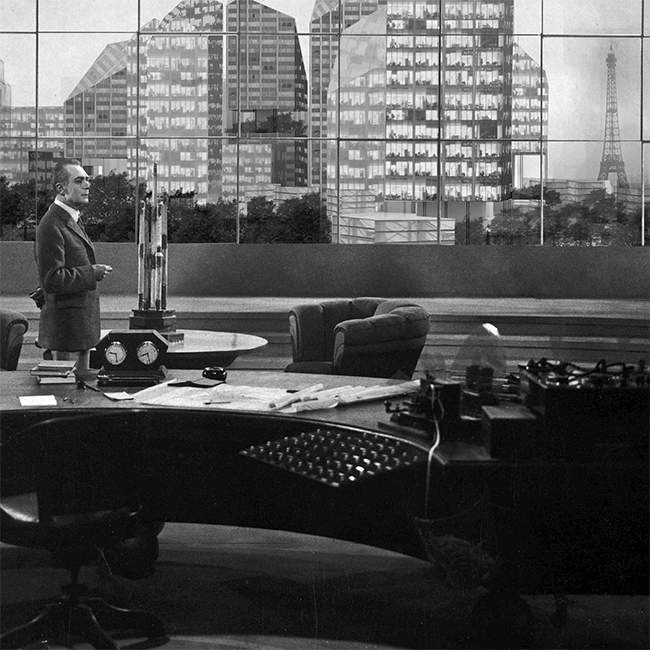 The movie envisioned a futuristic city of the twenty-first century as the setting for a story that exaggerated the latent conflicts of modernity, capitalism and rationality emerging in the 1920s. In Metropolis, Lang was fascinated with revealing both the mechanization of architecture and the contrast of two dichotomous worlds, a visible one above, and a hidden below, representing two opposite energies mirroring each other to achieve the perfect balance of existence. In order to express and represent the metropolis of the future, Lang revealed through photography and scenic compositions an exaggerated dense and connected city. At that time when Lang envisioned Metropolis, the concerns of the modern movement was to resolve both the issue of hygiene and the traffic management. 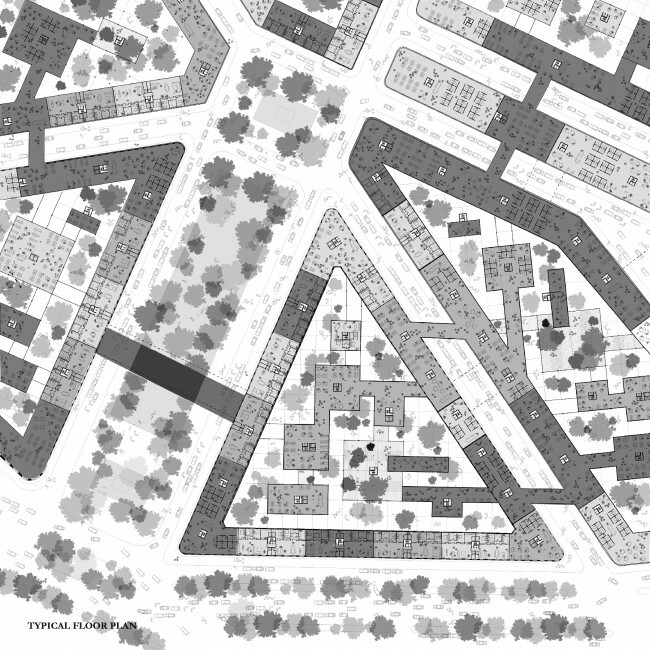 Thus, urban planning was directly confronted with the problem of city extensions, trying to simultaneously determine both the complexity of housing and traffic, as they were the most important aspects of urban planning. In his attempt to theoretically demonstrate the fundamental principles of urban planning for the metropolis, Ludwig Hilberseimer proposed the design for a vertical city. 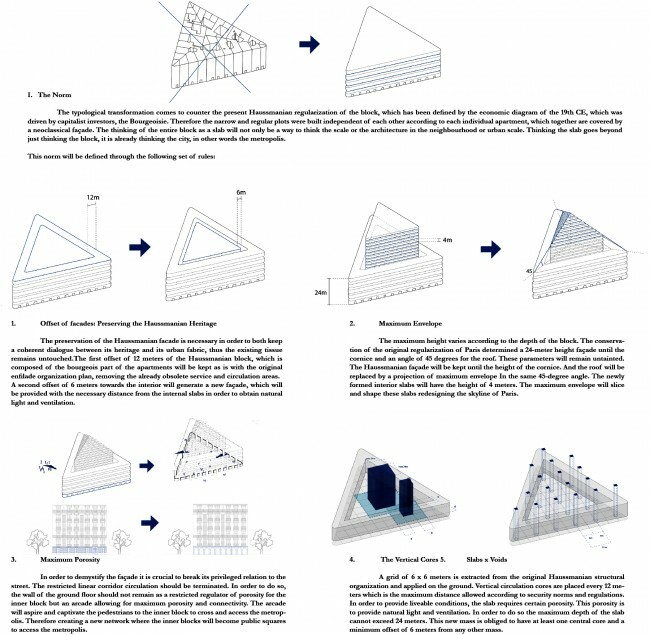 He proposed a concentration of clustering, functionally distinguished by their vertical placement. Two cities stacked vertically, the commercial city with the vehicular traffic running below, and the residential city with pedestrian circulation above. His proposal for a high-rise city, where leisure, labour and circulation would be vertically integrated, was a critique of the dynamics of the capitalist metropolis. 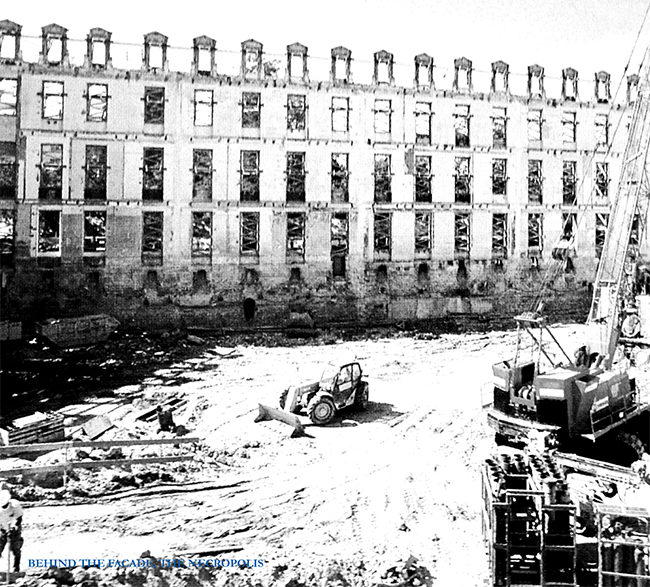 In his book Metropolisarchitecture, Hilberseimer defined the metropolis as a product of the economic development of the modern era, as a natural and necessary result of global industrialization. Hilberseimer understood, that metropolises were hubs of human activities and economy, and centres of both the individual and the whole nation, the city and the world; an organism which could not be considered independently since it relied on a global economic system. The chaos of the metropolis in the 1920’s was confronted by Le Corbusier’s plan for a City of Three Millions Inhabitants, a theoretical urban demonstration attempting to organize the needs of the inhabitants of a metropolis. ‘Life, labour and leisure should achieve a perfect order, fulfilling everyone’s needs for space, air, hygiene, comfort, and turning the city into an efficient organism’. 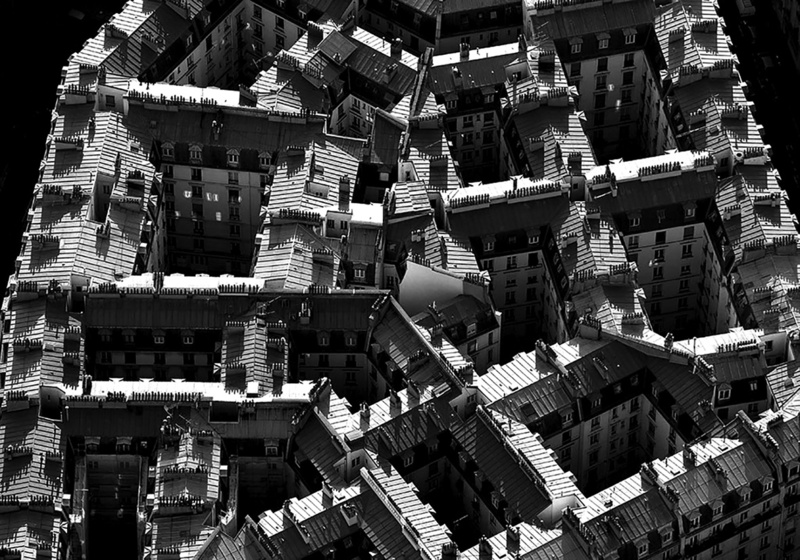 Hilberseimer stated that Le Corbusier ‘illustrates how a metropolis can be developed and arranged architecturally.’ Therefore, Le Corbusier’s metropolis only presented an aesthetic problem, where his geometric system was a strict order, which he believed, ‘was the only way to save the dying cities from chaos’. The economic phenomenon of the twenty-first century is a result of a post-industrial consumer economy affected by a fundamental shift that involves consumption and production. The primary source of this economy is the individual knowledge, which is based on the individual and his ability to share this knowledge. The biggest challenge of the metropolis of tomorrow is to remain attractive, competitive and creative amongst the metropolises of the twenty-first century therefore the new economic diagram is entirely dependent on the quantity, quality and accessibility of the information available. The knowledge becomes now the means of production, such as the production of intellectual rights. In the book, Hub Cities in the Knowledge Economy, Alain Thierstein, a German economist, defined the twenty-first century’s economic diagram when he states that ‘It is about the significance of functional and spatial proximity for the exchange of knowledge among people. Knowledge can only be created through personal interaction, hence, knowledge is always place related, while the processing of information is a-spatial. Thus the spatial expression of the economic diagram lies in the complex and multi-scalar interaction between infrastructure and connectivity. 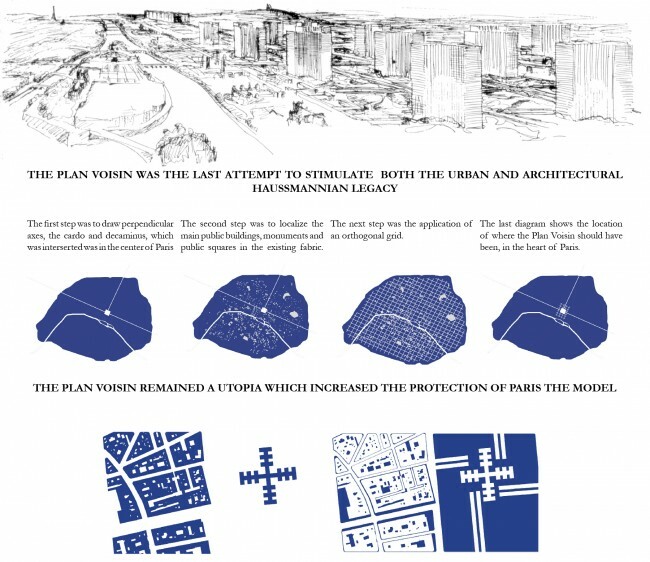 Hilberseimer already revealed that the modern metropolis needed to respond to a socio economic context and reality when he stated that it would not be ‘an enlargement of the antiquated urban model’. This already reflected the complexity in proposing a metropolis thus when he uses the word antiquated, he referred to an outmoded economic and spatial model, which could never be the basis for the creation of the modern metropolis. 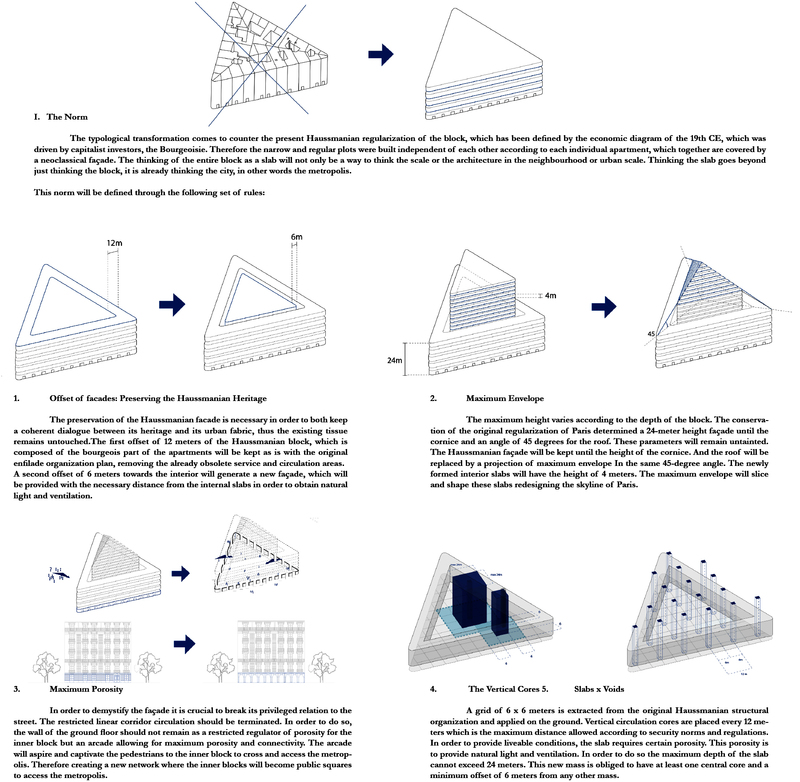 The antiquated spatial model is characterized as the natural developing city, opposing the artificial geometric city. The naturally developed city was the product of a long evolution, such as middle age cities like Paris, organized around a centre, with a castle, a cathedral, and a cloister or along a river or a military road. Even if this type was easily adaptable to its terrain due to the physiognomy of its streets, which depended on the narrowness of an individual house to adjust their form, it remained a slow organic evolutionary process, which had little to offer to the present. On the other hand, the artificial city is a geometrically partitioned scheme used to quickly delimit an environment in order to be rapidly developed, as a process used during colonization to fund cities such as New York. Nevertheless, this type of planning neglected architecture to the detriment of urbanism, reducing it as an ‘inorganic accumulation of opposed elements’ determined exclusively by economic considerations, and therefore questioning the usefulness of such urban forms. 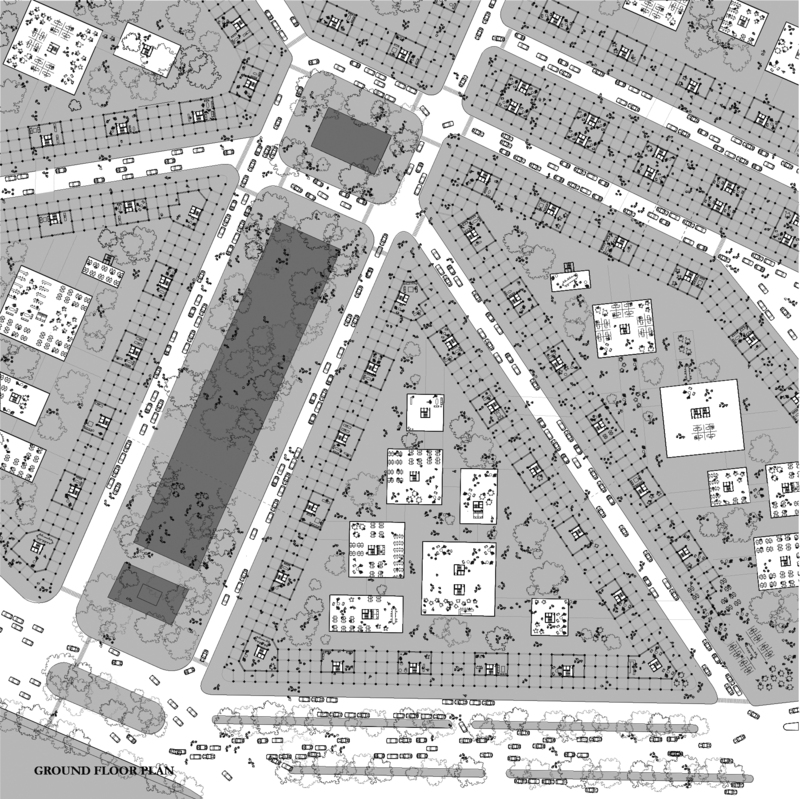 In 1920’s, the city extensions were the main concerns of urban planning. The most important system developed and the oldest one was the concentric system, which consisted on the expansion through rebuilding further outwards creating a new ring. 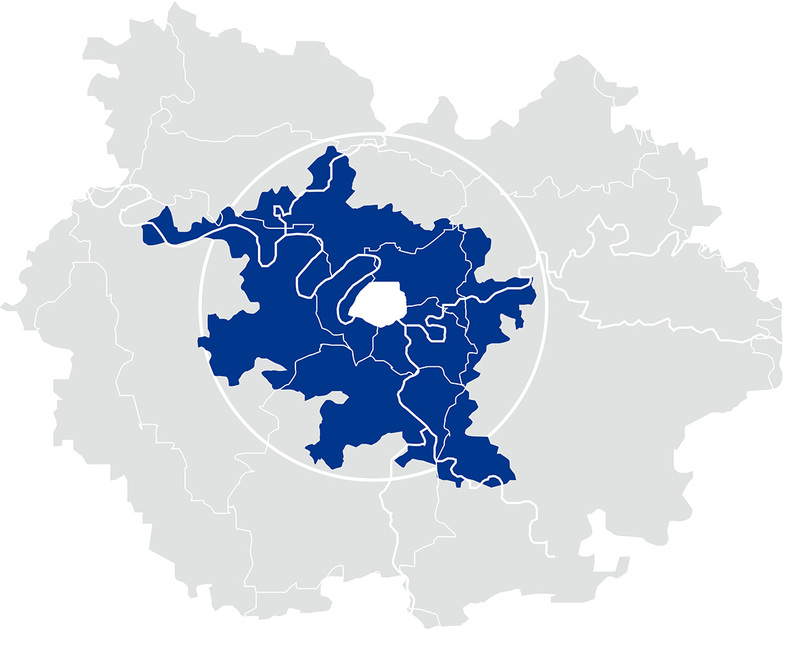 This system was applied in Paris through successive expansions such as the current boundaries defined by Haussmann in the mid-nineteenth century or by the A25, a motorway ring located twenty-five kilometres from Paris, which defined the limits of the Grand Paris. Nevertheless, this system is inadequate for the metropolis, since it does not allows for systematic growth but a systematic compression. However, the geometric order cannot be considered as an end in itself even if it is an essential mean for designing cities. Until the Modern Movement the concept of cities were founded on an ideology attached to the historical past, but the tabula rasa claimed by the movement, produced a geometric type of city, which ruptured with the historical spatial cohesion observed in the naturally developed cities in the past. This phenomenon was a consequence of the major pressure on cities to expand beyond their limits. This expansion was caused by the industrial decentralization, which generated geometric cities in isolated industrial sectors. 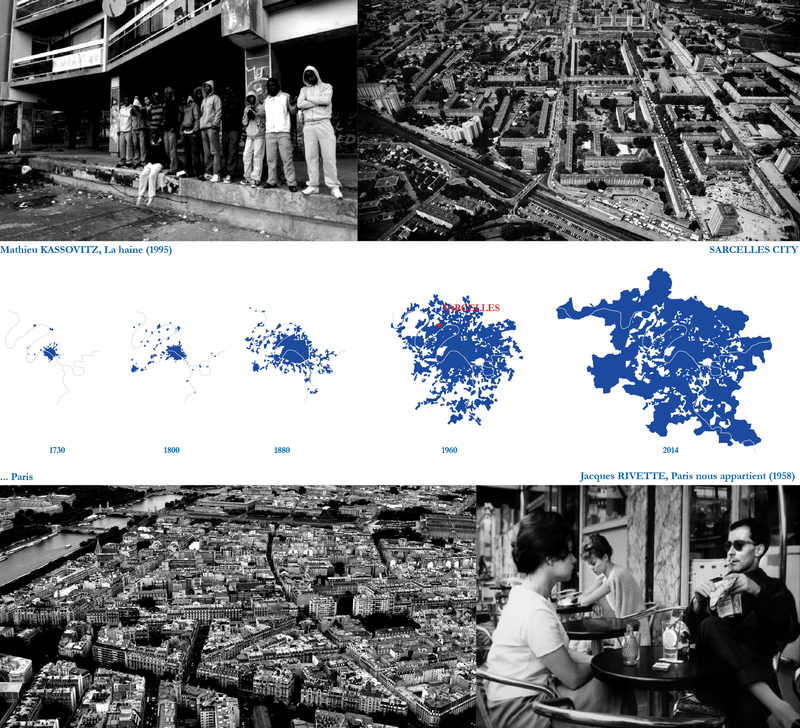 Likewise, after the Second World War in France, the creation of these new cities in the Parisian agglomeration had resulted in a segregation and isolation between the city centre and its urban agglomeration. 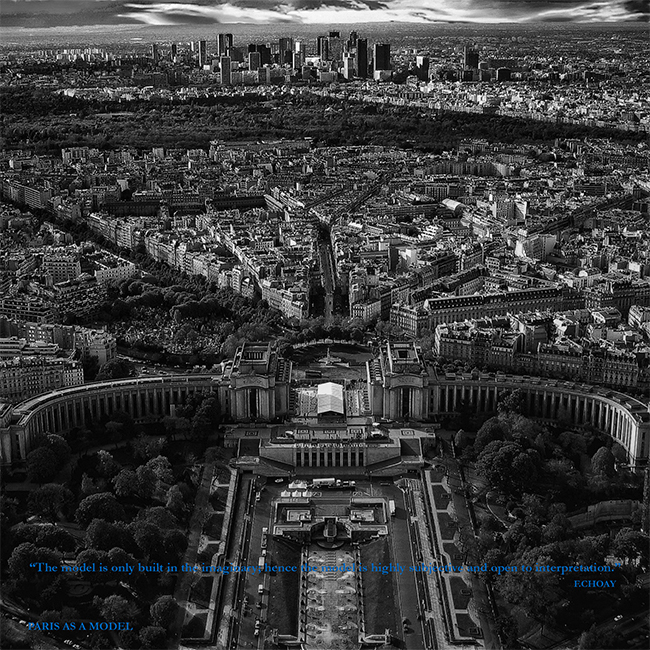 In order to create a competitive metropolis, the consultation of the Grand Paris aimed to resolve the lack of cohesion and connection in the urban agglomeration of Paris. The evolution of Paris and the Grand Paris is characterized by a change from a mono-centric model – from a unique city centre to its periphery – to a polycentric model offering alternative poles to create a new dynamic in the city. France has been historically a centralised country, and its capital city Paris, even though it reveals the need to grow beyond its current limits still remains confined in its boundaries of the Haussmannian heritage. This resulted in a gentrification of the city centre increasing significantly the social segregation by pushing lower income groups towards the periphery. This phenomenon created a Parisian romantic image of a beautiful, cultural, historical and luxurious centre. This fantasy of Paris carries within a certain lifestyle, which is both desired and aspired, to be achieved in other places of the world, and therefore Paris can be considered a model. It is clear that what Paris embodies and represents as a city, is what determines it as a model although the Paris, which is lived and experienced today reveals another reality. The one of a city frozen in time and incapable to adapt and evolve in its own limits which is to respond to the current necessities and prerequisites of the metropolis of the twenty first century. The reality of Paris today is the city is nearly mono-programmatic, being mainly composed of housing for the obsolete bourgeoisie and the facade remains untouched thus it is what supports the economy of the city through tourism. Consequently the reality of cultural, educational and economic institutions is that they maintain their headquarters in the city centre in order to have a certain prestige and to be associated to Paris as a model; and in order for these to be active and according to the contemporary economic model which is driven by knowledge, there is a migration of their campuses into the outskirts of the city to have more space and better conditions and flexibility to build and develop. As opposed to building in Paris in which there is a lack of space and programmatic flexibility to build in the protected Haussmanian heritage. 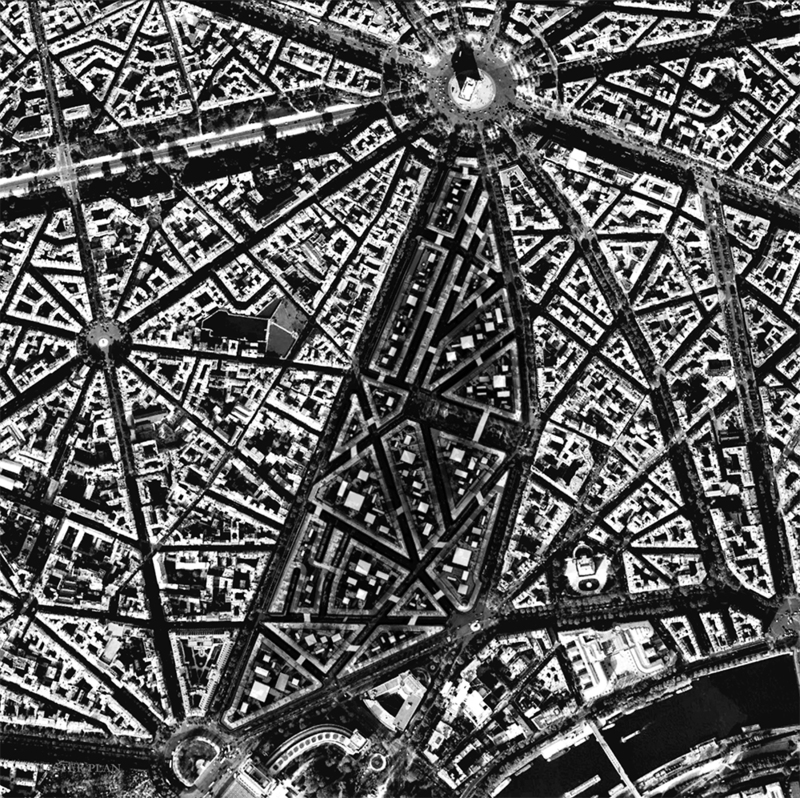 In order to allow for this city to compete with other metropolis of the world, the state commissioned ten architecture offices to propose ideas to link Paris to the contemporary reality, the Grand Paris. In order to better understand the contradictory relationship of Paris as a model and its reality, it is crucial to define what this model is.